The latest new build office development undertaken by MAST has recently been delivered and finished on site. 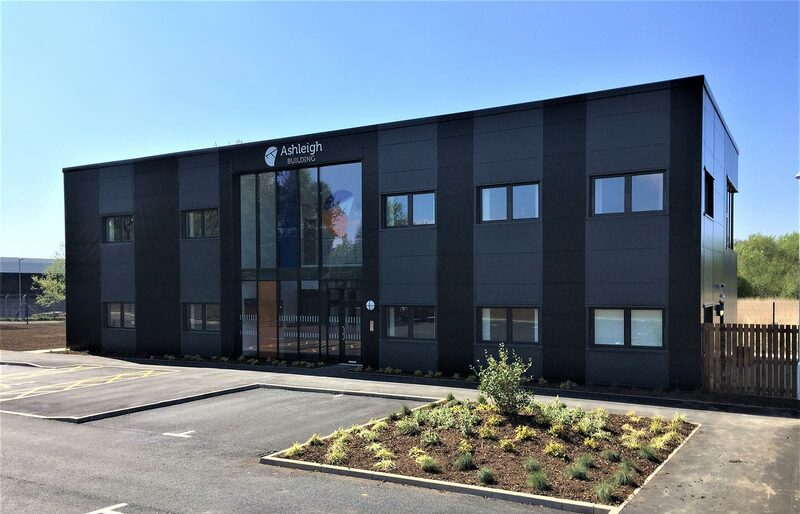 Designed and developed in partnership with Ashleigh (Scotland) Ltd, the office will provide Ashleigh with a modern day, state of the art facility located adjacent to Prestwick International Airport, Ayrshire. The office covers 5,500sq ft. over the ground and first floor, providing custom designed meeting rooms, general open plan and cellular office spaces. The exterior black and grey cladding panels, combined with the glass frontage and double height reception space offers a contemporary finish whilst remaining functional and practical for everyday use. Architect Steven Strang added ‘really pleased to see another project get over the line. We are really happy with the finished article and hope Ashleigh (Scotland) Ltd enjoy many years in it’.